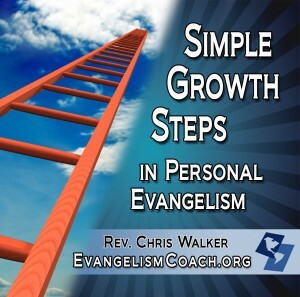 How does one develop an evangelism team or an effective evangelism group in the local church? “Make up another name just to have a name that is not Evangelism” committee. Important work, but not evangelism as I define it. Some evangelism committees just meet and talk about what should be done without ever doing anything. Form an evangelism team that is actively doing personal evangelism. Set up an evangelistic team with people who will hold each other accountable to sharing their faith. How do I get on the church evangelism team? A person who weeps in prayer (or labors in prayer for those who aren’t emotional) over those who have not yet found a relationship with Jesus Christ. This is a person who doesn’t have time to serve on an evangelism committee, but wants to be out in the world, engaging the world. Recruit like minded people and you’ve got a team. Skip perfection. All members can sow seed now. You don’t have to be equipped first. Just go and do it. Learn as you try. What does the evangelism team do? Meet Regularly: A team could meet regularly to study one aspect of evangelism, encourage one another. Prayer for Personal evangelism — each team member is involved in praying for the lost, praying for the conversations that will happen, and praying for the other team members. Personal Evangelism — each team member is actively listening to the Holy Spirit for guidance as to who to talk with and how. Debrief – Report on conversations, progress of friends, and sharpen each other to improve. This coaching group can keep evangelism temperature high and continually motivate one another to keep at the work of the gospel. If you haven’t already heard this MP3 download, listen to this evangelism prayer strategy from our podcast feed. Phil Taylor shares a simple 3 fold prayer structure that you can use for your devotional time. Do you know enough people in your church to start an evangelism team? Thank you Chris for this site! I’ve just been put in charge of my Church’s evangelism team. Pls I need help on how to go abt this. I’m from Lagos Nigeria. Hi, I have been put in charge of my church evangelist team, and I would like to know how to get and keep your team motivated, would appreciate any help, thanks. The greatest way to keep a team motivated is two fold: 1). Continue to model personal evangelism yourself and 2). seeing people take steps to faith and celebrating those. At our church, we regularly hear stories of people who find faith in Christ, and how they came to that place of decision. That regularly refreshes a passion for evangelism.